Einar Wathne, Chairman of the NCE Seafood Innovation Cluster, and Tanja Hoel, the cluster's Managing Director, recently launched the organization's new strategy for 2019-2021. Seafood start ups in the Bergen region could soon benefit from a match-making service, which will help them to find potential investors. The project is among a number of initiatives being planned by the NCE Seafood Innovation Cluster, in order to aid the region’s marine start‑ups to grow and develop. The plans are part of the organization’s new strategy for 2019‑2021, which was launched at an event at Bergen’s Marineholmen research park earlier this month. Other schemes in the strategy include a training programme for company founders on how to commercialize their business ideas, as well as further funding for accelerator programmes. Tanja Hoel, Managing Director of NCE Seafood Innovation, explained that the cluster’s goal was to make Bergen into a “hotspot” for growth in the seafood business. Along with a focus on entrepreneurship, the new strategy also contained goals around boosting knowledge and talent within the sector, and encouraging innovation. The organization’s roadmap for the future was well‑received by a crowd at the launch event, which included around 100 members of Greater Bergen’s seafood business cluster. The organization introduced new developments such as a Seafood Innovation Platform, which will display innovations from cluster members and encourage partnerships between members. The cluster is also setting up a new “Executive Forum”, including representatives from some of the region’s leading seafood companies, to provide guidance to its Board of Directors. These steps, together with the new focus on entrepreneurship, will help the organization achieve its goal of driving sustainable growth within the seafood industry. NCE Seafood is aiming to achieve sustainable seafood production on the Norwegian coast. Photo ©​ GCE Subsea. Greater Bergen’s NCE Seafood Innovation Cluster was established in 2015 in order to facilitate partnerships between industry, researchers and public agencies. The organization contains more than 57 partners and members, including some of the largest salmon‑producers in the world. Together the cluster members are responsible for roughly 18,000 employees and a turnover of 65 billion NOK. 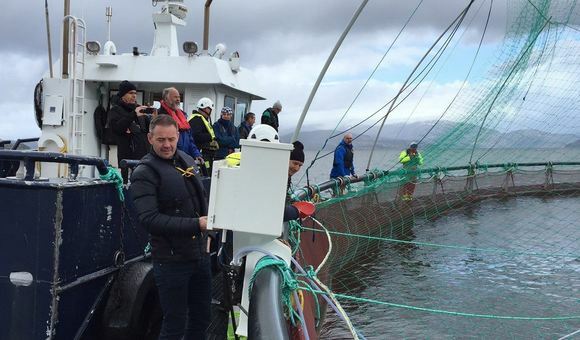 It has among other things been responsible for developing AquaCloud, a common project that analyses data from fish farms along the Norwegian coast in order to improve fish health.